Compact dimensions, superior comfort and outstanding versatility: a perfect combination for all applications in restricted spaces such as greenhouses and nurseries. 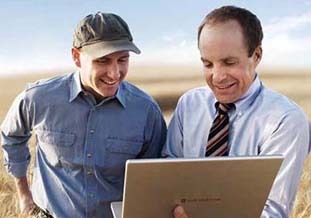 This is why Solaris is the ideal tractor for the small farm, for intensive agriculture and for the hobby farmer. 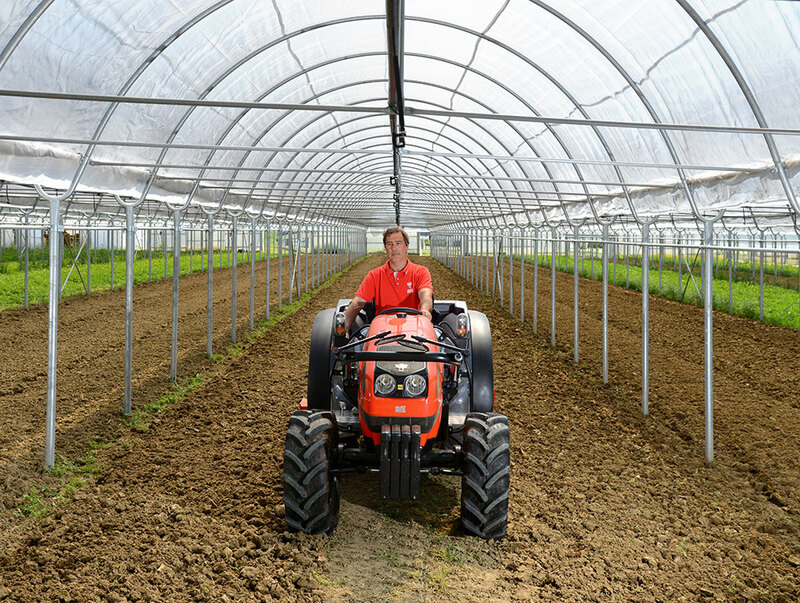 And with its platform with smaller 20" tyres, the Solaris is the ideal choice for low crops. 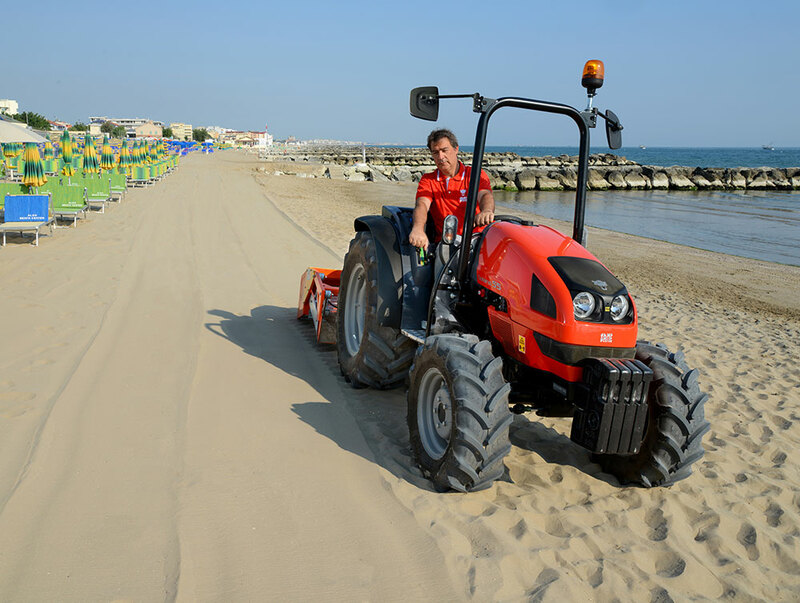 Stable and offering excellent traction even on gradients, Solaris is only small in appearance: and its technical characteristics, mechanicals and performance bear comparison with those of a full sized tractor. 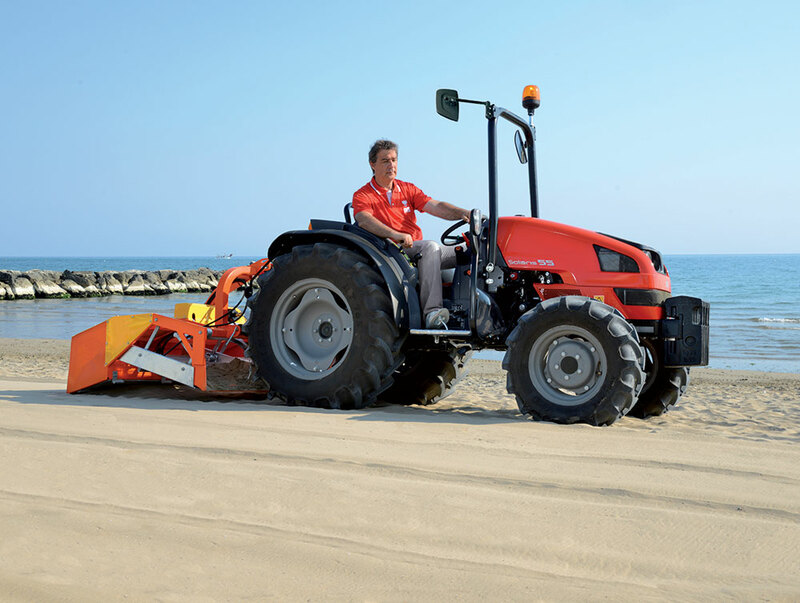 Indeed, from the open field to specialised applications, Solaris offers the greatest versatility in its power class (from 35 to 55 HP). "When simplicity does not mean compromising." Sudden changes in load are a reality that has to be taken into account, and the Solaris boasts an engine with an impressive torque curve and remarkable tractability, with enough power in reserve to respond to any necessity. And the 4 cylinder Mitsubishi engine powering the Solaris - with indirect injection and offered as turbo and naturally aspirated variants with outputs from 39 to 51 HP - is not only very quiet, but also produces very little vibration, for maximum comfort. Lastly, a highly effective cooling system and impressive autonomy make the Solaris a willing and dependable workmate. "Responsive, quick and perfectly at ease even in the tightest spaces." 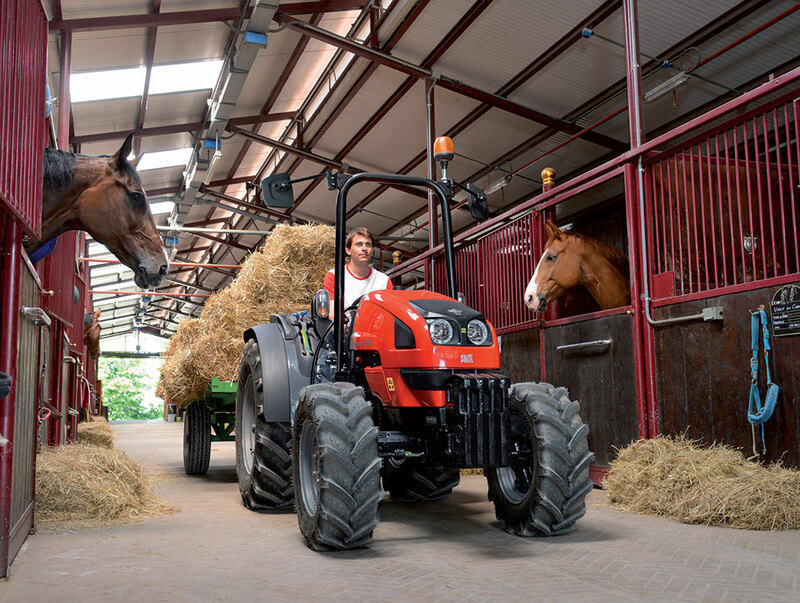 With a sturdiness you'd only expect from a bigger tractor, Solaris can work in a wide variety of conditions. Its 12+12 speed synchronised transmission makes it quick and agile in manoeuvres. And with a top speed of 30 Km/h, Solaris even takes transfer and transport jobs in its stride. But that's not all: with an impressive steering angle of 57°, the front axle lets the Solaris manoeuvre nimbly even in the tightest space, while the hydrostatic steering system with 15 l/min pump ensures smooth steering action even at low engine speeds. Lastly, the Solaris is equipped with rear and front differential locks engaged simultaneously from a button on the steering column, while dual traction is engaged mechanically from a lever on the transmission tunnel right in front of the seat. 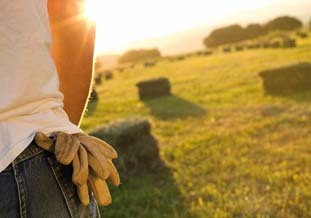 As versatile as the best all-purpose tractor, Solaris lets you choose the right implement for the job in hand. With a specific 30 l/min pump and 6-way hydraulic distributors for the 1,200 Kg, rear lift and a self-contained hydraulic circuit for the hydrostatic steering system, the Solaris remains light and nimble to manoeuvre even when carrying heavy loads. But that's not all. The Solaris offers a choice of different PTO configurations, with the 2 operating speeds of the PTO easily selectable from a lever on the control panel. 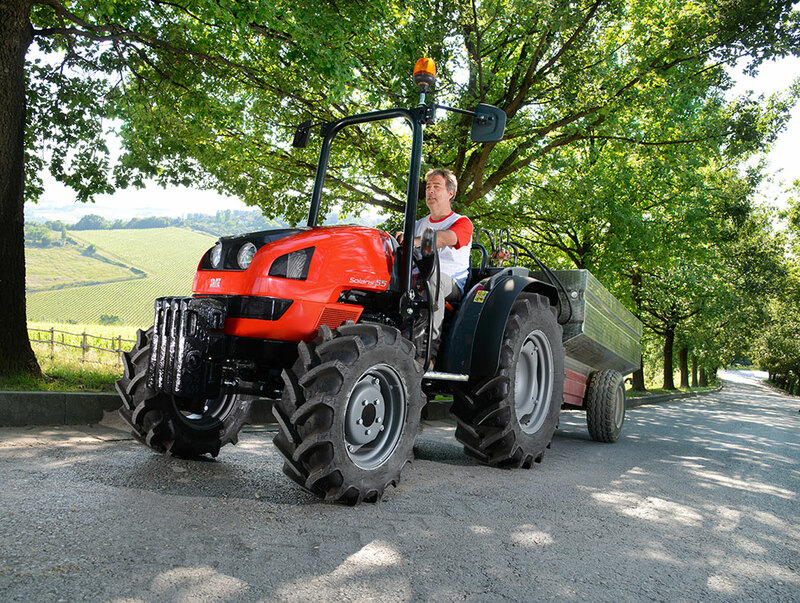 Last but not least, a 600 Kg capacity front lift is also available to further enhance the versatility of this small but powerful tractor. "Sometimes, greatness comes from being small." Size is often not the most important factor. Solaris embodies the essence of this concept, offering surprising comfort in spite of its smaller stature. An excellent example of this is how the low vibration and quietness of the tunnel platform make working comfortable even after many hours in the seat. The layout of the spacious and ergonomic driver area is designed to keep all the main controls within easy reach, while the access step has a slip-proof surface for safety. The Solaris has an eye-catching design with soft, rounded forms, while the sloping engine hood ensures excellent visibility.